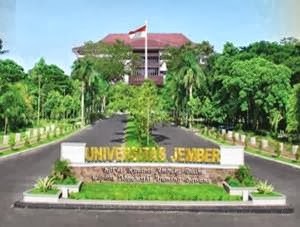 Universitas Jember - UNEJ or the University of Jember is a well-established state university in Indonesia. The University is situated in Jember regency East Java. UNEJ was first established in 1957 as a private university under the name of Tawang Alun University (Indonesian : Universitas Tawang Alun - UNITA) and started with 5 faculties. In 1964, the University had transformed into a state university. At present, UNEJ hosts 13 faculties and 2 faculty level study programs. According to UNEJ's profile as cited by JobsCDC.com, UNEJ offers 11 diploma programs, 40 undergraduate programs, 8 master programs, and 1 doctor program. To support education, the University of Jember also supported by 11 research centers. The University was lead by a Rector and currently held by Moh. Hasan, M.Sc., Ph.D.
Due to strengthen its team, Universitas Jember is pleased to announce the following vacancies for immediate recruitment. Minimum Master Degree (S2) with GPA min. 3.25 within 4.00 scales. JobsCDC.com now available on android device. Download now on Google Play here. Please be aware of recruitment fraud. The entire stage of this selection process is free of charge. Universitas Jember - Recruitment Lecturers Non CPNS UNEJ December 2016 will never ask for fees or upfront payments for any purposes during the recruitment process such as transportation and accommodation.